DONT BE LONELY: Neighbour Day encourages us to reach out and make a difference to the elderly and vulnerable by simple gestures like stopping for a chat. ON ANY given day one in 10 people will feel lonely - perhaps you're one of them, or know someone you suspect is lonely. Loneliness: What Neighbours Can Do to Create Connections is the theme of this year's Neighbour Day on Sunday, March 31 - aimed at building better relationships with the people who live around us, especially the elderly and vulnerable. Neighbour Day campaign manager Sam Robinson is encouraging Toowoomba district residents to take the challenge and reach out to people around them with one simple action a week. It could be a few friendly words across the back fence, inviting an elderly neighbour in for a cuppa, seeing if they need help in the garden or something from the shops, organising a walking group, sharing some baking or home-grown vegies, or stopping for a chat when you're out with the dog, or at the shops. Each day in March, the Neighbourhood Day campaign will post Very Neighbourly Tips on Facebook, Twitter and Instagram with ideas about how to reach out to neighbours, especially single parents, those who have lost a partner, people with health concerns and the elderly. "We will be encouraging you to take the initiative and think about those who live around you who might not be able to get out, or have friends or relatives close by, those who could do with some companionship or help," she said. 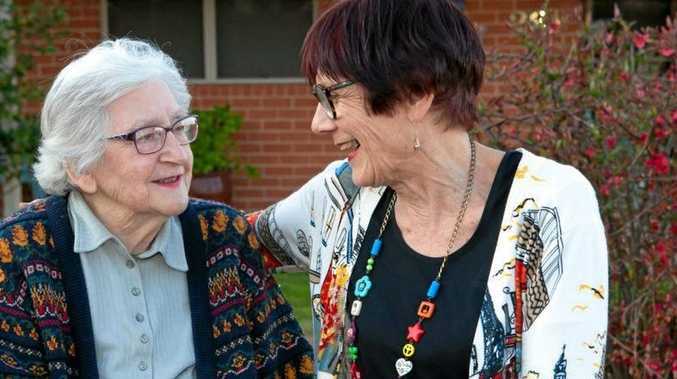 The first Neighbour Day was held in Melbourne in 2003, based around community activist Andrew Heslop's idea to encourage people to check on their neighbours after the story emerged of an elderly woman's body found inside her suburban home more than two years after her death. Since then, Neighbour Day has progressed from a reminder to connect with elderly neighbours to an annual celebration of communities and friendly streets involving people of all ages. A Relationships Australia survey last year found that almost 1.5 million Australians report having been lonely for a decade or more. Research also shows that 82% of us believe loneliness is becoming more common. And it can be deadly, with loneliness associated with social anxiety, poor mental health, an increased risk of coronary heart disease and stroke, high blood pressure and the onset of disability. It actually increases the likelihood of mortality by 26% - similar to the effect of smoking 15 cigarettes a day. Neighbour Day ambassador and social researcher Hugh Mackay talks about the importance of being socially connected to others. "... Communities don't just happen. We have to create them and build them," he said. There are a host of community groups and volunteer opportunities around Toowoomba. Find out more at Toowoomba Regional Council, go to tr.qld.gov.au/about- council/jobs-at-council/ volunteering; Volunteering Queensland, go to volunteeringqld. org.au or My Community Directory, go to mycommunity directory.com.au/ Queensland/Toowoomba. For more information on Neighbour Day and how you can get involved, including free easy-to-use resources such as posters, selfie signs and calling cards, go to neighbourday.org.